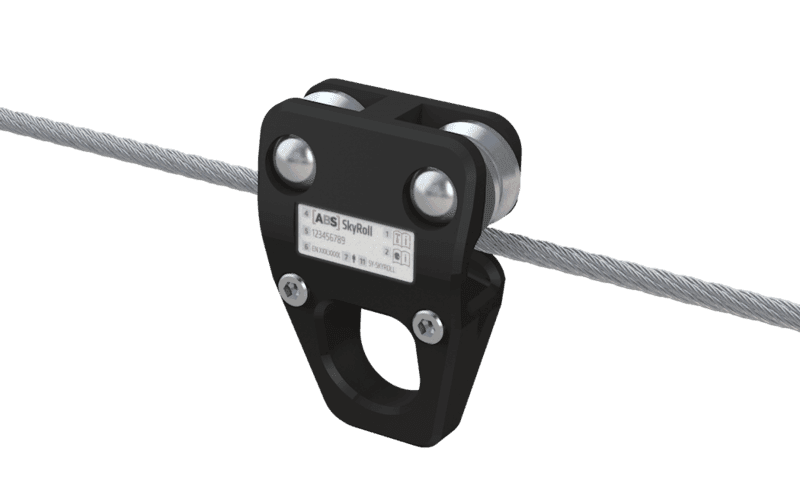 Attach this roller glider, which is made of highly-durable aluminium material, permanently to a traversable, overhead lifeline system (8 or 6 mm). Thanks to its special ball bearing-mounted stainless steel rollers, this glider runs really smoothly along the cable and can also be used to go around curves (up to 180°). Our ABS SkyRoll roller glider is manufactured from highly-durable aluminium material with stainless steel, ball bearing-mounted rollers that allow it to glide extremely smoothly along our overhead-mounted, stainless steel ABS-Lock SYS II (8 mm) and ABS-Lock SYS IV (6 mm) lifeline systems. 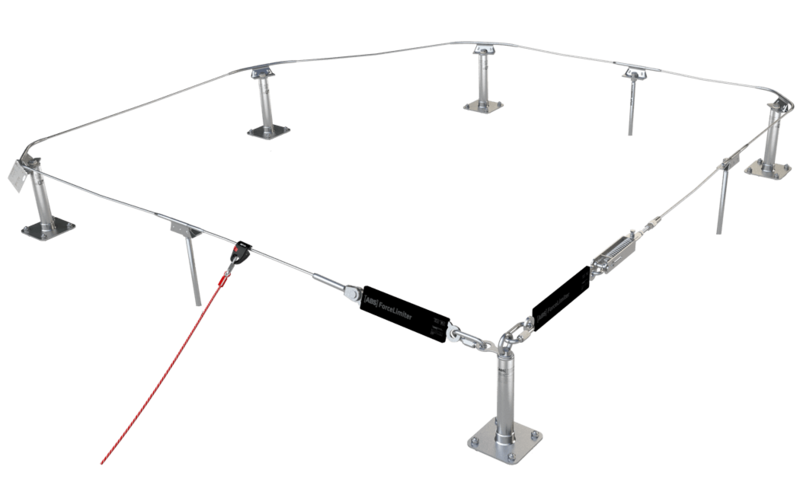 This roller glider masters curves effortlessly and is designed to secure 1 individual according to EN 795:2012, C. The whole ABS lifeline system can be used by up to 4 workers simultaneously, whereby each user requires his/her own glider. 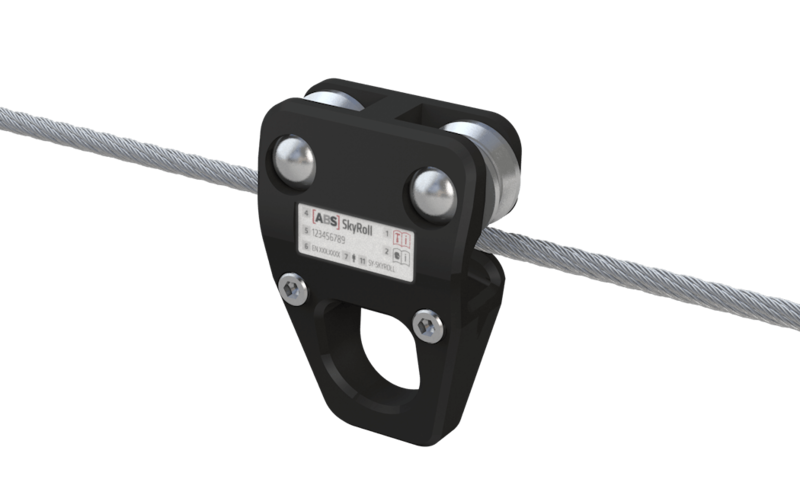 Our ABS SkyRoll glider is suitable for overhead-mounted lifeline systems attached to ceilings and facades.